Some people have been logging into Windows 10 only to find that Microsoft is now pushing advertisements through the lock screen. Is this happening to you? You aren’t the only one, and there is a way to disable this nonsense. All you have to do is disable the Windows Spotlight feature. 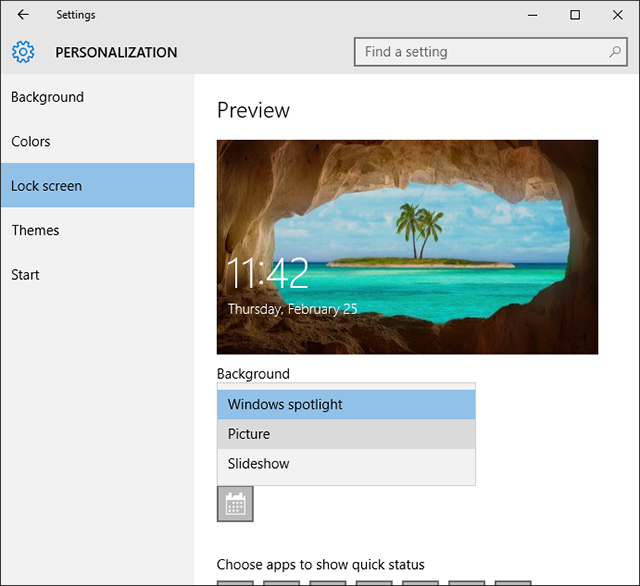 Open the Start Menu, type in lock, and select the Lock Screen Settings option. This is the quick way to navigate where you need to be instead of trudging through System Settings and dozens of mouse clicks. In the Lock Screen Settings window, look for the setting labelled Background. Change it from Windows Spotlight to either Picture (static wallpaper image of your choice) or Slideshow (many wallpaper images that rotate). That’s it. You may also want to disable the setting labelled “Get fun facts, tips, tricks, and more on your lock screen” in case that ends up being another avenue for advertisements.